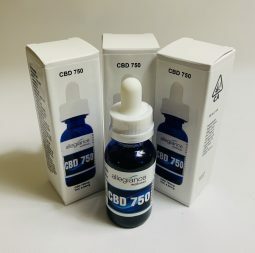 CBD tincture is a cannabidiol concentrate infused into a carrier oil. Allegiance Wellness uses a mixture of coconut and extra virgin olive oils for this, all organic and free of contaminants. An extract using supercritical CO2 techniques, this tincture is full-spectrum, offering an array of cannabinoids, flavonoids, even terpenes to affect optimal healing. Without doubt, Allegiance Wellness guarantees quality. However, this distillate does not contain any THC. Since CBD is non-psychoactive, it will not make anybody “high.” Having said that, you will feel its effects, just not an alteration of your mental state. This is a relaxing concentrate. It will calm you, remove all stress from your life, and relax every muscle in your body. With 25 milligrams of CBD in every milliliter, or 5.36 milligrams in every pump, this is a medical oil. Patients rely on Allegiance Wellness to provide tested, proven medical-grade CBD oil. It never disappoints. They use to treat inflammation, chronic pain, anxiety, spasms and spasticity, arthritis, diabetes, post-traumatic stress disorder, fatigue, seizures, addictions, neurological issues, tumors, cancer side effects, antibiotic-resistant infections, and other hard-to-manage health conditions. As a medical product, recreational users have little use for Allegiance Wellness’ CBD tincture. Although it promises massive benefits to all who consume it, those wanting THC look elsewhere for it.